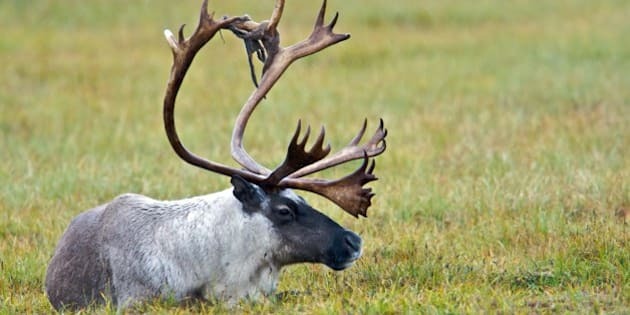 EDMONTON - Alberta plans to keep leasing undisturbed remnants of endangered mountain caribou habitat to energy developers, even though Ottawa has just released a plan saying the land must be restored, not exploited. Another 500 hectares in northwestern Alberta is to go on the auction block Wednesday from the range of a herd federal scientists consider in imminent danger of disappearing. Environment Canada issued a proposed recovery plan on Monday that states at least two-thirds of the herd's range should remain undisturbed or be restored. About half the Redrock-Prairie Creek herd's range north of Grande Cache, Alta., is now undisturbed. "Alberta’s ongoing energy leasing in endangered caribou habitat is on the wrong side of science, public opinion and its own caribou policy," said Carolyn Campbell of the Alberta Wilderness Association. New Democrat environment critic Rachel Notley agreed. "(The sale) doesn't grant industry unrestricted access to the land," McQueen said. "They have to operate within the restrictions and they know that going in. They still have a regulatory process to go through." Those rules mostly involve the timing of industrial activity to avoid calving and migration, as well as items including the height of pipelines, access to sites, and reforestation guidelines. Critics have said that if the rules worked, caribou numbers wouldn't be declining. In May, the province sold off leases for 1,000 hectares of land roamed by a second population of mountain caribou, the Narraway herd. That sale happened about two weeks after a panel of federal scientists concluded that all Alberta's mountain caribou herds should be elevated to endangered status, the most serious risk assessment available under Canadian law. That selloff was condemned by all Alberta opposition parties, both on the left and right of the political spectrum. It was criticized by editorials in major provincial newspapers as well as by the Alberta Fish and Game Association. At the time, association president Gord Poirier called the sales reckless. "There is no way that the government with their projected return of a balanced budget needs the funds these leases will bring,” he said. "There seems to be a move by government to divest itself of critical habitat before their own land-use framework plans are implemented." Poirier promised his group would take up their concerns with provincial officials. Mountain caribou herds have lost 60 per cent of their numbers over the last decade, largely due to industrial activity in their habitat. Environment Canada's latest plan is in addition to those already released for boreal caribou, which are also feeling the impact of energy and forestry development. The plans are legally required under the Species At Risk Act. Alberta also has a caribou recovery strategy, although it doesn't contain firm commitments to habitat preservation or restoration. McQueen said provincial officials are designing a range plan for the area now under moratorium. That could influence how areas used by the mountain caribou are dealt with, she said. "We're looking at the learnings with regards to how do we work together with the different industries in those areas to minimize those footprints." Alberta Environment staff have said there's no timeline on when that range plan is expected. McQueen said Alberta's regulatory process ensures caribou are protected. "If you look anywhere around the world, Alberta has strict regulations with regard to oil and gas development." Campbell said there are ways for caribou and economic development in the region to co-exist. "The expanding footprint enabled by Alberta’s current weak guidelines just makes this more difficult," she said.